What’s the Project? 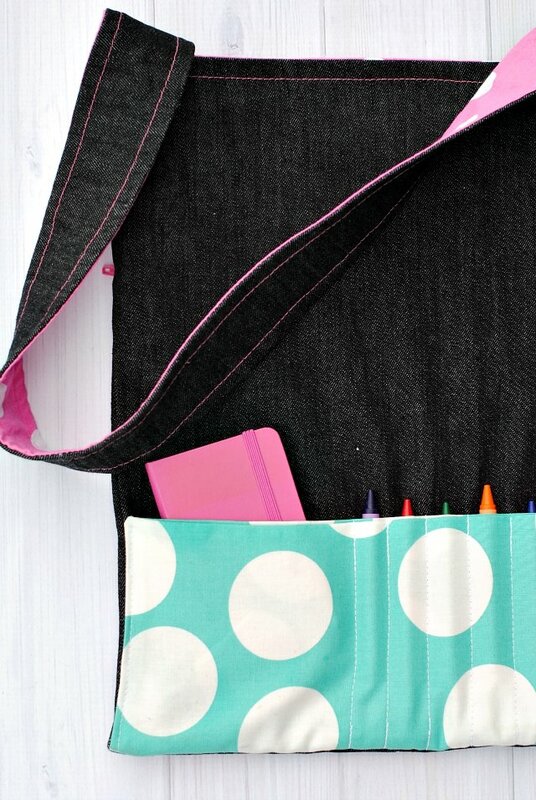 This cute kid’s tote bag pattern is perfect for a fun bag to take on the go. 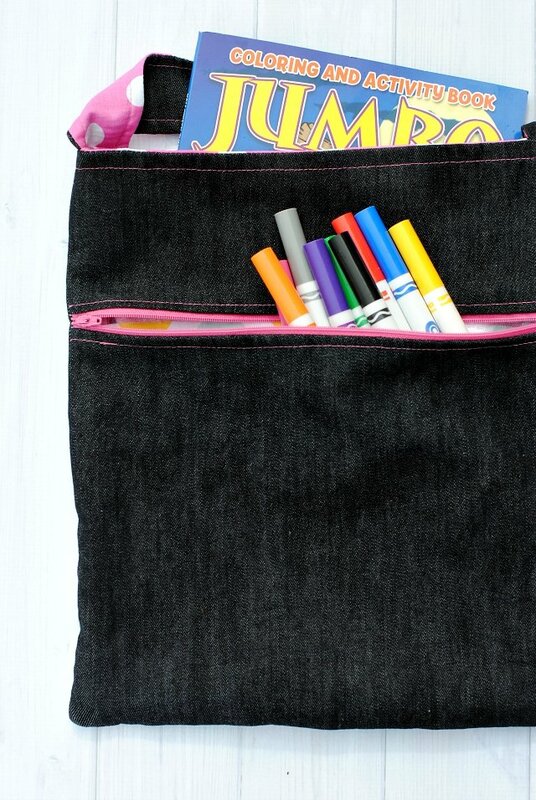 With pockets for things like crayons and coloring books, this bag is going to be something your kids really love to carry! Time to make something fun for the kids today! Something fun for YOU to make and for the kids to enjoy which is win-win for everyone! I think this is one to have a lot of fun with. 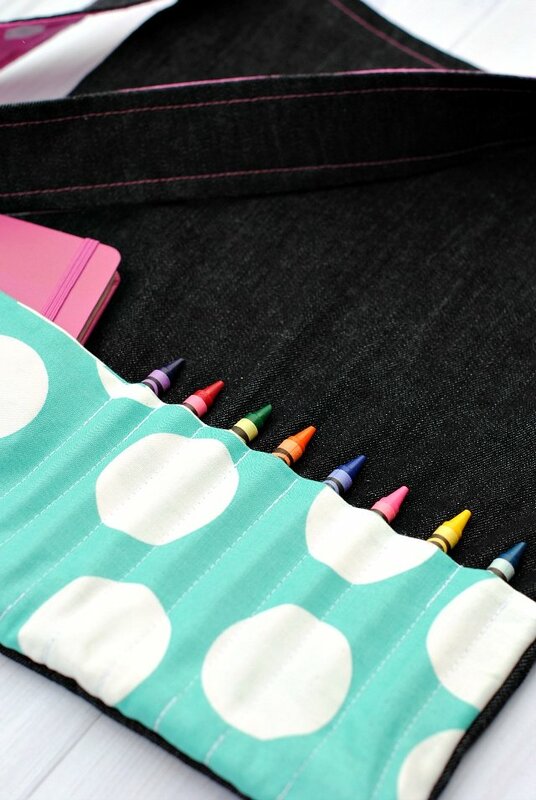 Pick fun fabrics that match your kid’s personality, maybe even add their name to the bag. It will make a great gift or just something they will really love. 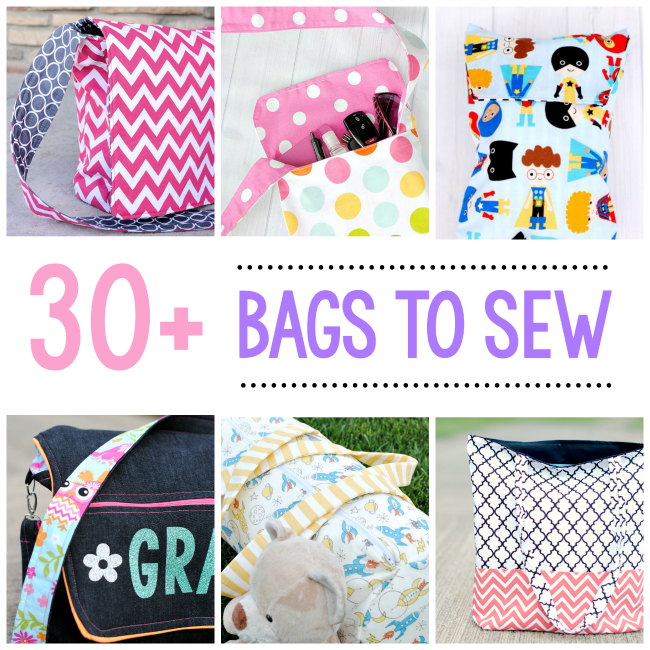 It’s a kid’s tote bag pattern that I have for you today and I hope you are going to love it! Or really whatever works for you. Then tuck coloring books or paper or whatever else little one wants to carry with them and off you go! I’m thinking this kid’s tote bag pattern makes a great Christmas gift or birthday gift or just something fun for the little ones you love! Plus, you can have fun with the fabrics. I used 3 different fabrics plus the denim and mixed and matched. 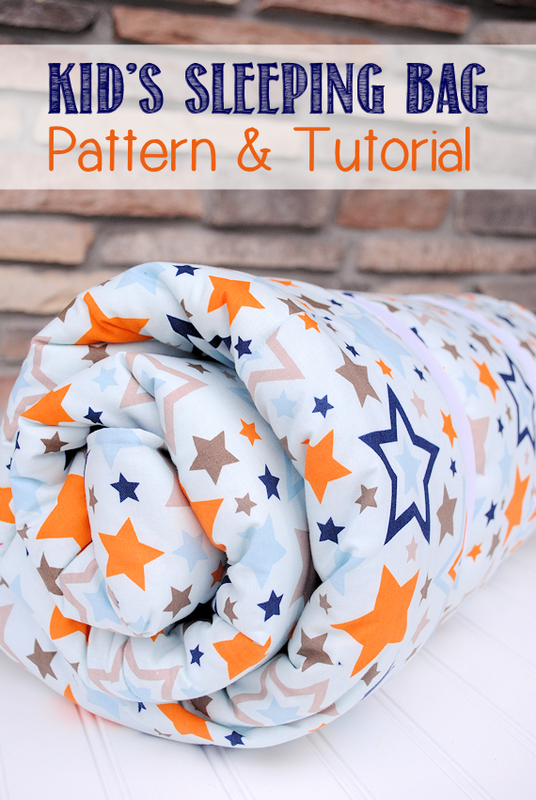 It would be cute for boys with a superhero fabric or just about anything! 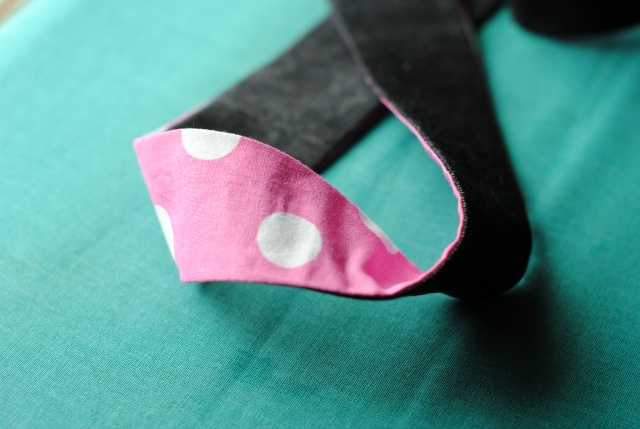 OK, I always like to make the strap first and get it out of the way. So grab your two pieces that are 30 by 2 and a half and put them together with right sides together. Sew up each of the long sides and turn them right side out. Press flat and top stitch along the edges. Set the strap aside for later. Grab your two pieces that are 12 by 10 and 12 by 11. These are going to form the pocket that goes inside the zipper section. Sew them together with right sides together around the two sides and the bottom. One side should stick up 1 inch farther than the other. 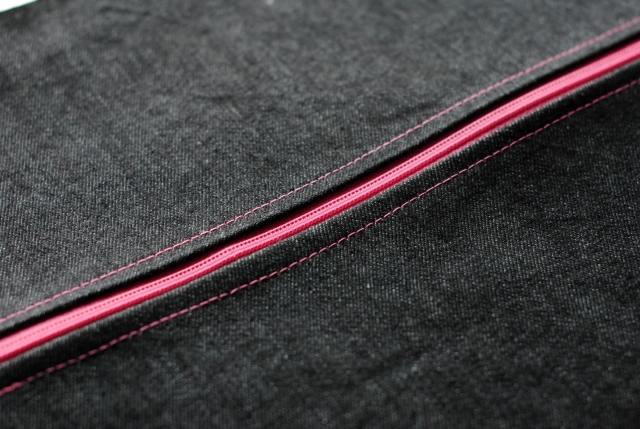 This will be the top of your pocket-the part you are NOT sewing right now. Leave this wrong side out. Now, get your two pieces that are 15 by 12. Cut the top 5 inches off of one of them. Now you are going to do the exact same thing using the other side of your zipper, the 5 inch by 12-inch piece of denim but NOT the pocket part yet. So just the two layers this time. 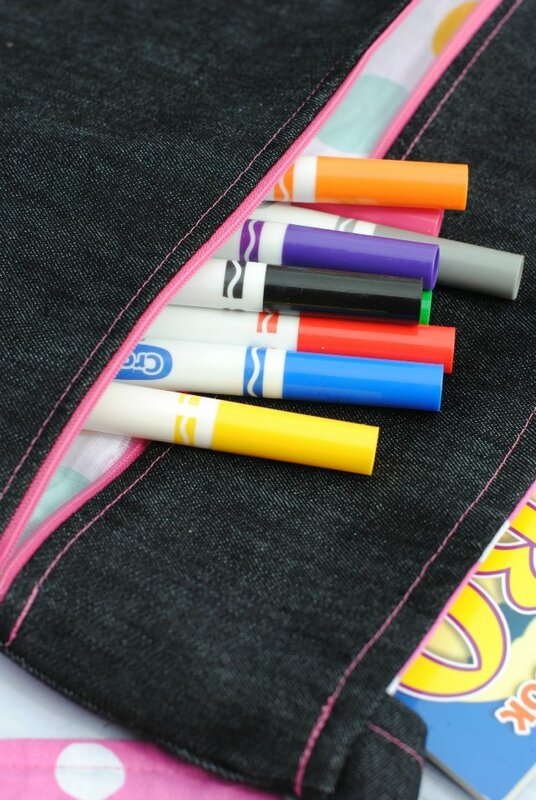 With the other piece of your bag that is 12 by 15 we are going to sew the crayon pocket on. Take your pocket piece that you made earlier that is 12 by 4 and a half now and pin it in place at the bottom of your 12 by 15 piece making sure that the opening you left is at the bottom. Sew along the two sides and bottom. This will close your opening while also securing the pocket in place. OK, let’s put it all together. 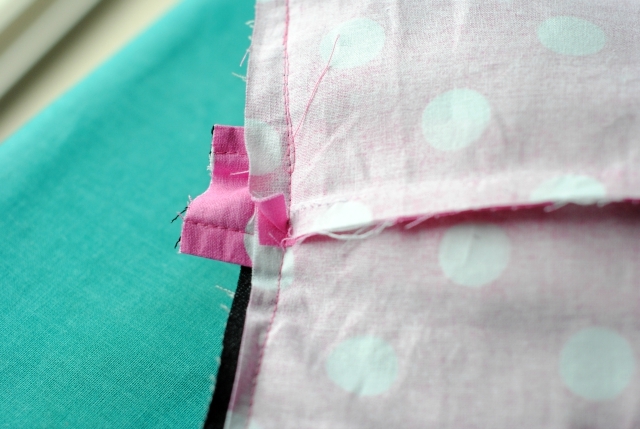 Take your two inside pieces and sew them around the two sides and bottom with right sides together. Leave this inside out. 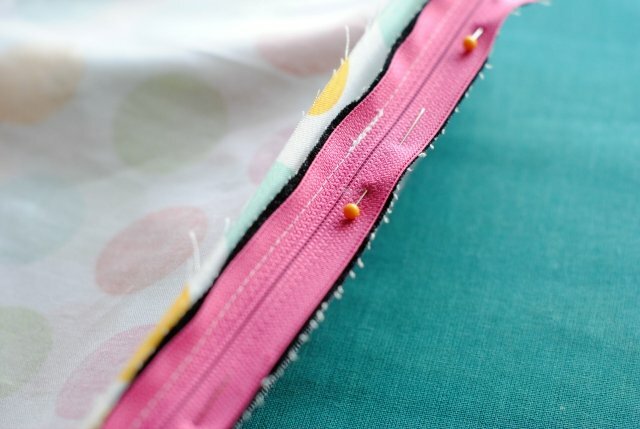 Sew your two outer pieces around the sides and bottom with right sides together as well. Turn this one right side out. 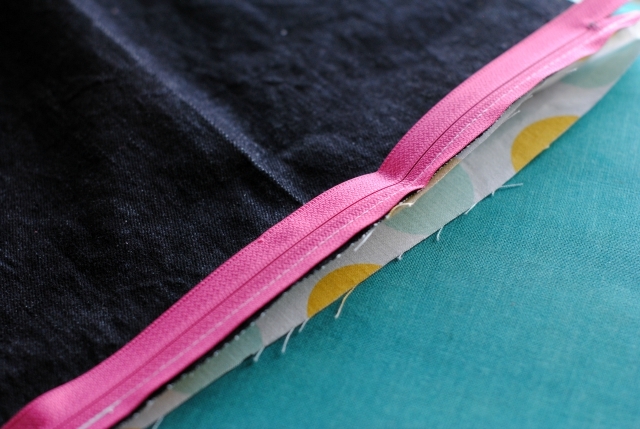 Now, stuff the outer bag (denim with pockets) into the inner bag so that right sides are together. Sew all the way around the top leaving about 4-5 inches in the center part somewhere to turn it. Turn it right side out and press everything into place nicely. Press the opening and then stitch it closed. 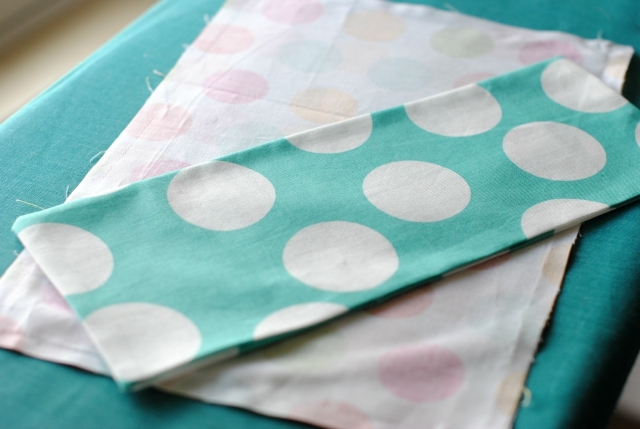 Who are you going to make this cute kid’s tote bag pattern for? I love all of the bags you are posting about, and I love that I can adapt them for my beginning sewing class in the Jr. High where I teach! 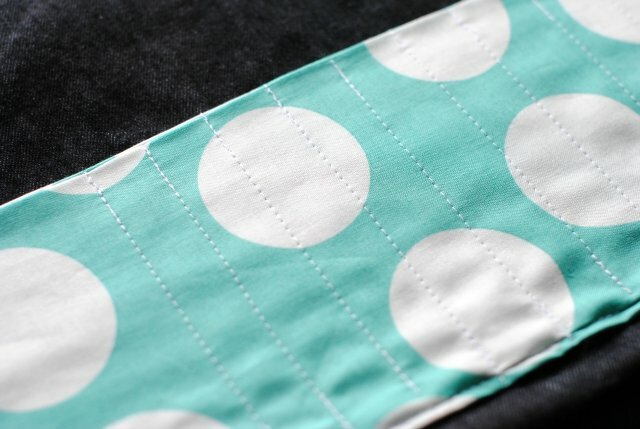 I’m wondering if you can tell me where you buy your adorable polka dot fabrics? Are they quilters quality or just something from a big box store? Hmmm, these all came from my stash so I am trying to think where I got them. I usually shop either at Hobby Lobby or online at Stitch Stash Diva, so probably there. Amber, Thank you for your tutorials. I love seeing what you share! I wish I had seen this bag a month ago. I made my grandson a travel binder with pockets that hold what you show in your bag. He didn’t like it. Too hard to carry on our trip. This would have been perfect:) I know what I’m going to make for Christmas gifts this year. Thanks again for all you do. Thank YOU for your kind words. They mean a lot! My grandkids lived these bags! Your instructions are clear and easy to follow. I’d post a picture if I could. Thanks! Oh good! I love to hear that! 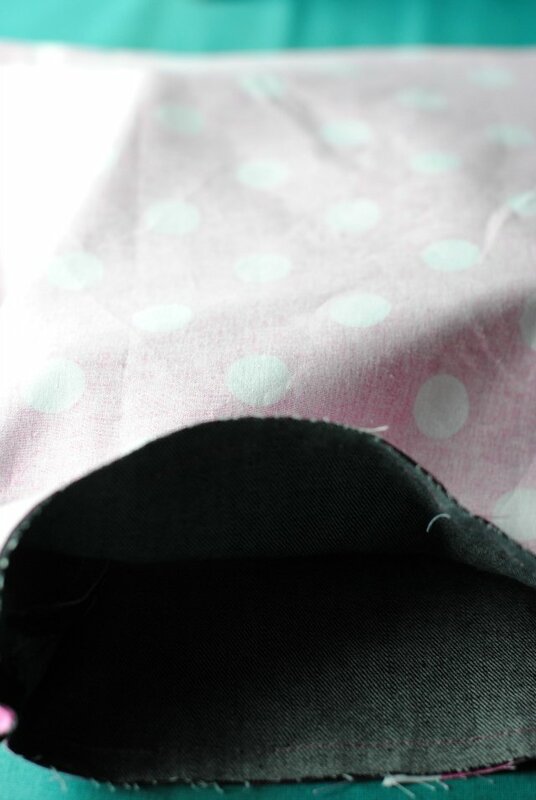 Fabric cut out and ready to sew, but no seam allowances specified! Help! WHAT ARE THE SEAM ALLOWANCES? ?